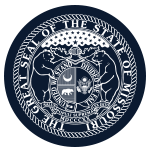 Mission: The mission of the State Committee for Social Workers is to protect the citizens of the state through the licensing of licensed clinical social workers and baccalaureate social workers and assessing their competence to practice. It is also the Committee's duty to investigate all complaints against its licensees in a fair and equitable manner. Function: The Committee shall guide, advise, and make recommendations to the division and fulfill other responsibilities designated by sections 337.600 to 337.649. The committee shall approve any examination required by sections 337.600 to 337.649 and shall assist the division in carrying out the provisions of sections 337.600 to 337.649. Compensation: They are reimbursed for necessary and actual expenses in the performance of the members official duties. Geographic Requirements: Must be a citizen of the U S and a resident of the state. The Governor shall endeavor to appoint members from different geographic regions of the state.